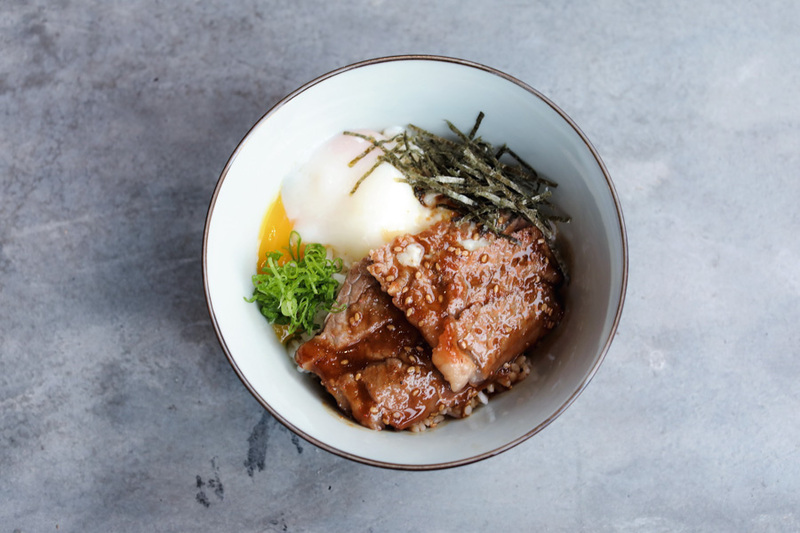 Another Japanese Izakaya has opened in Singapore, targeting the after-work crowd which are looking into winding down with some kushiyaki and drinks. 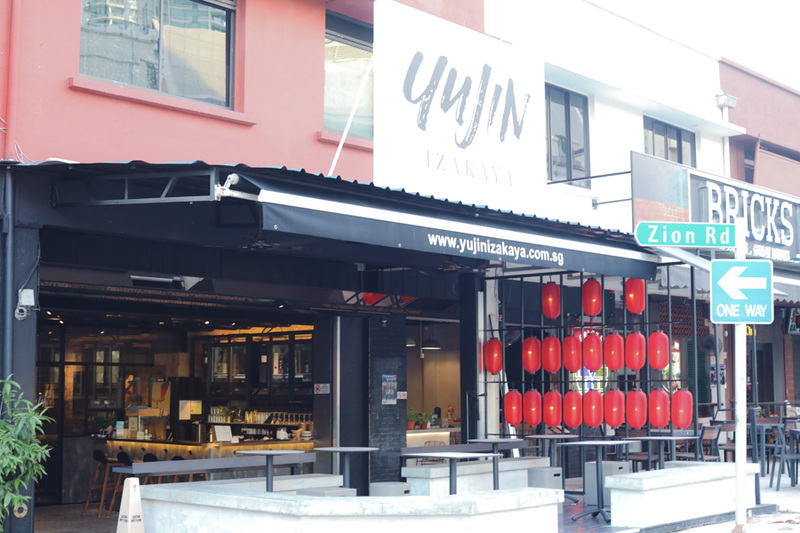 Yujin Izakaya is found at a corner shophouse unit along Zion Road, though this particular space has changed hands a number of times. 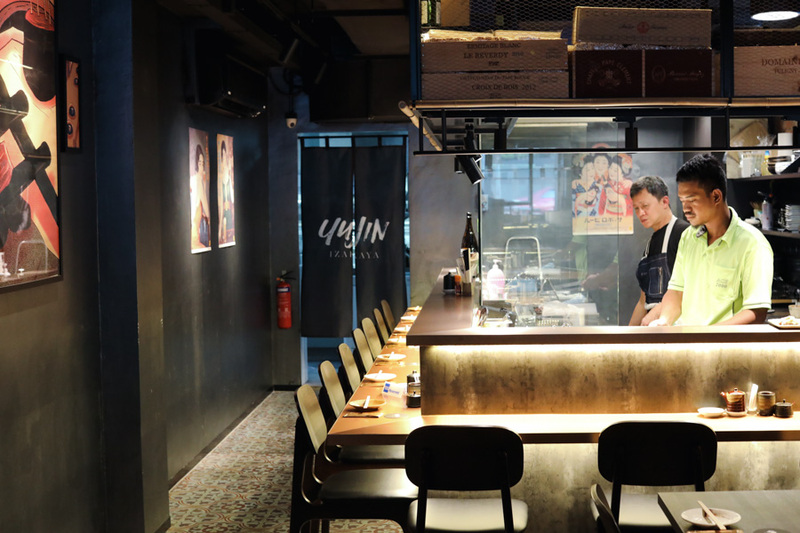 The name “Yujin” is said to be the Japanese word for “friend”, opened by the Les Amis Group. 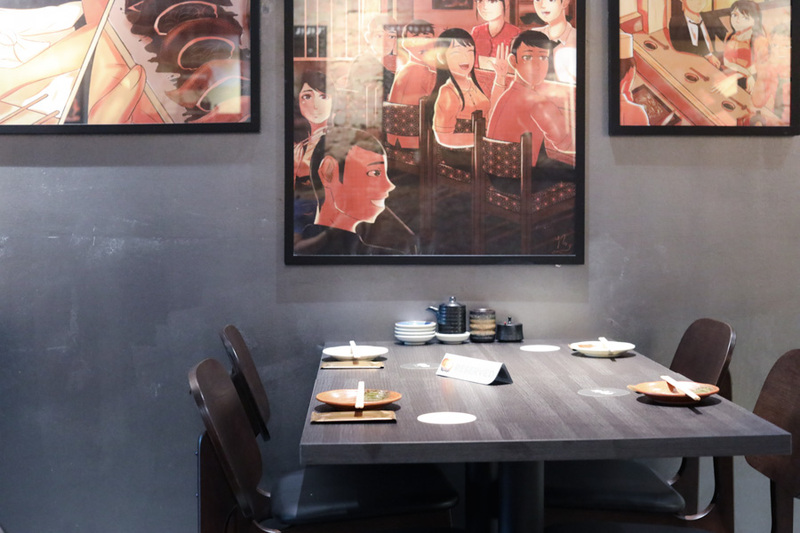 The group has quite a number of Japanese restaurants under its umbrella, from Aoki, Jinjo, Shabu Shabu Gen, to Sushi Jin. 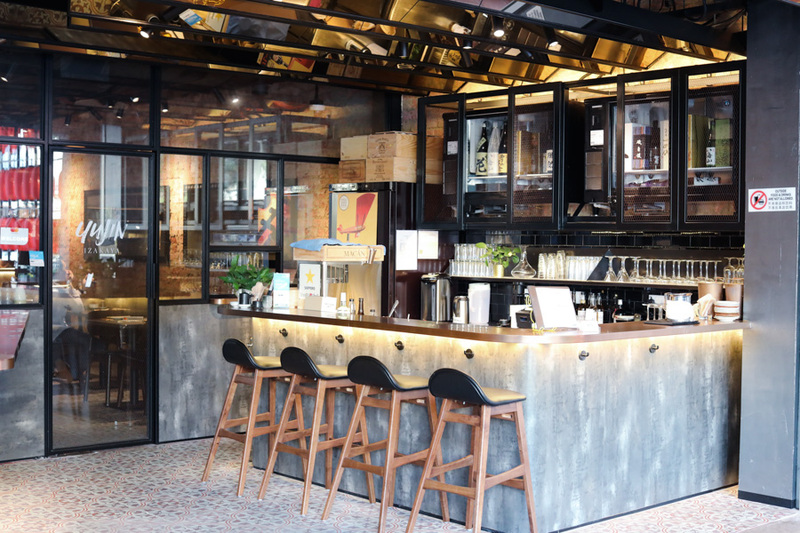 This is an unassuming 50-seater which features a bar on the outside, and behind the metal mesh doors an eatery with open kitchen concept. Though people may just walk past it without taking much notice. 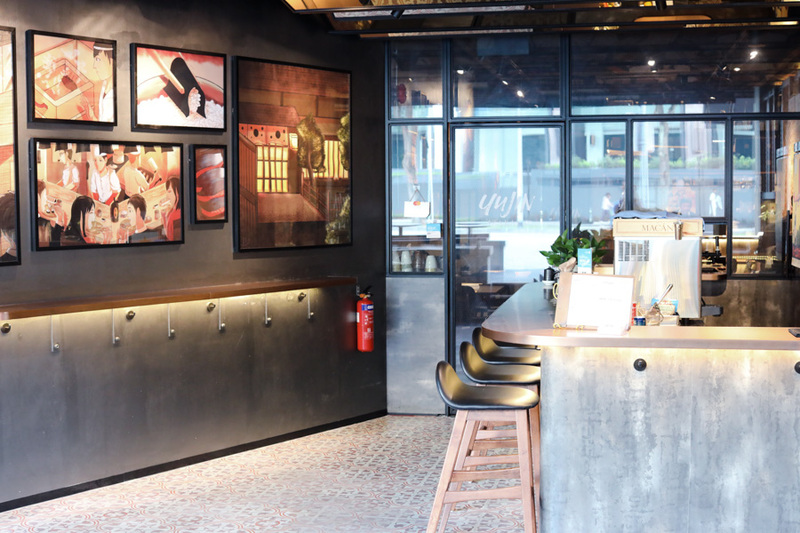 The vibes reminded me of Bincho at Hua Bee, with its dark-orangey lighting and edgy music. I liked the framed dynamic manga scenes hanging along the wall, which gives the space some character and brings out that fun aspect. Chef-owner Freddie Lee is the main person behind the fire, while he wife Purdey runs the front of house. 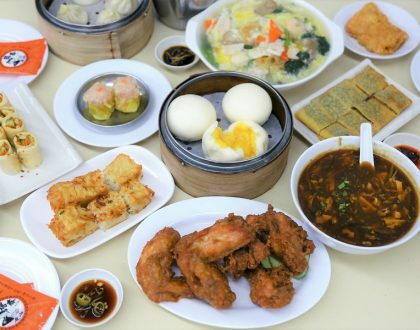 The menu features cold and hot appetisers, smokey grilled vegetable, meat and seafood dishes, singed skewered items, warming items served in small bowls and light desserts. 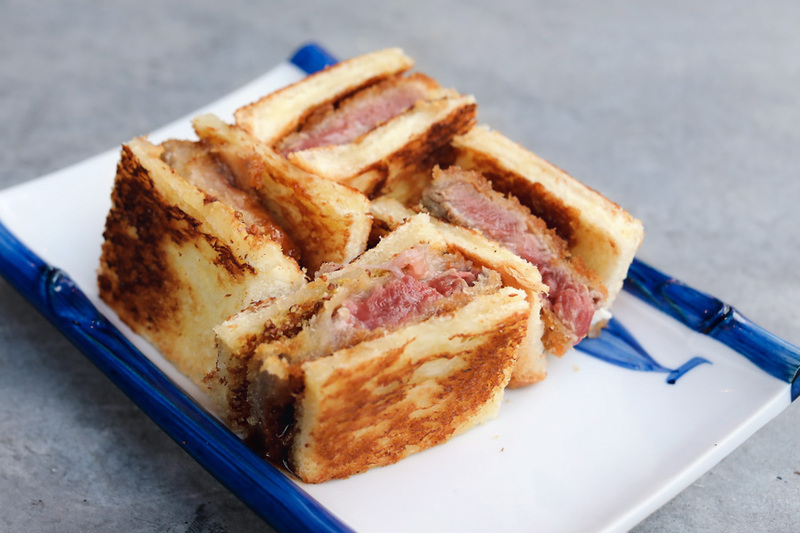 If you are lost at what to order, recommended items include Truffle Chawanmushi ($15) which is steamed egg with konbu and truffle; Katsu Sando ($16) of US Beef, toasted bread, pommery mustard; Tsukune ($6) hand-made meatball; Tontoro ($15) which is Iberico pork jowl; Gyutan ($12) – Ox tongue; Gyu Kalbi ($18) – Beef short rib; and Inaniwa Udon ($18) with a base prawn broth included with prawn tempura. Prices are on the expensive side, and I was still slightly surprised at the final amount on the bill despite not ordering that many items. 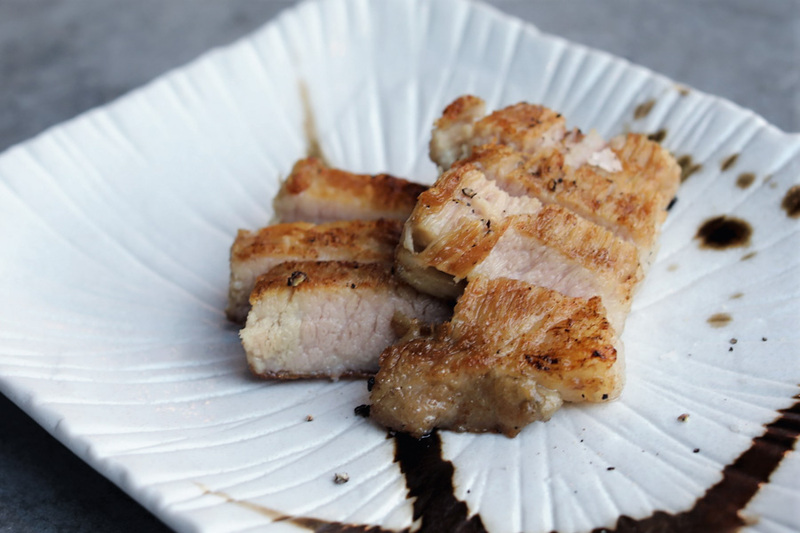 The stand-out food item was possibly the Tontoro ($15) which was first slow-cooked then finish over the grill, giving it a more tender texture. 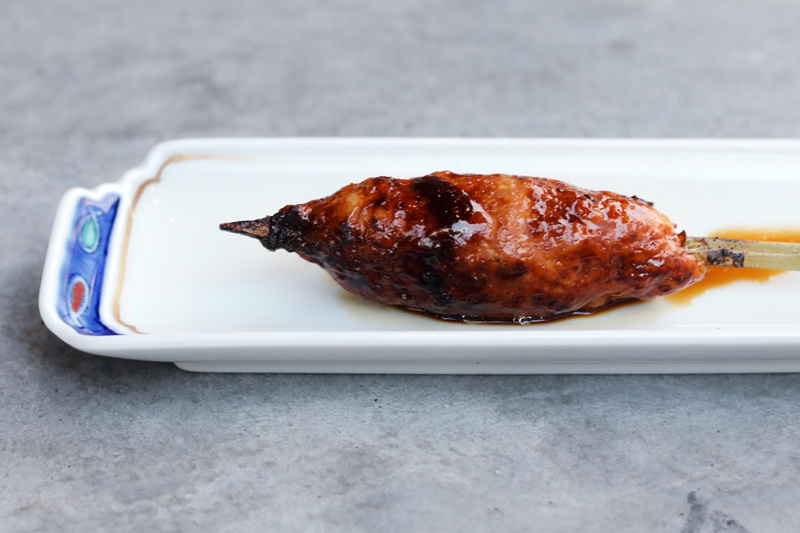 The Tsukune ‘meatballs’ ($6) didn’t arrive like the typical balls of threes, but inside a whole piece moulded with a mix of house-minced chicken meat and cartilage bits for textural difference. This was okay. 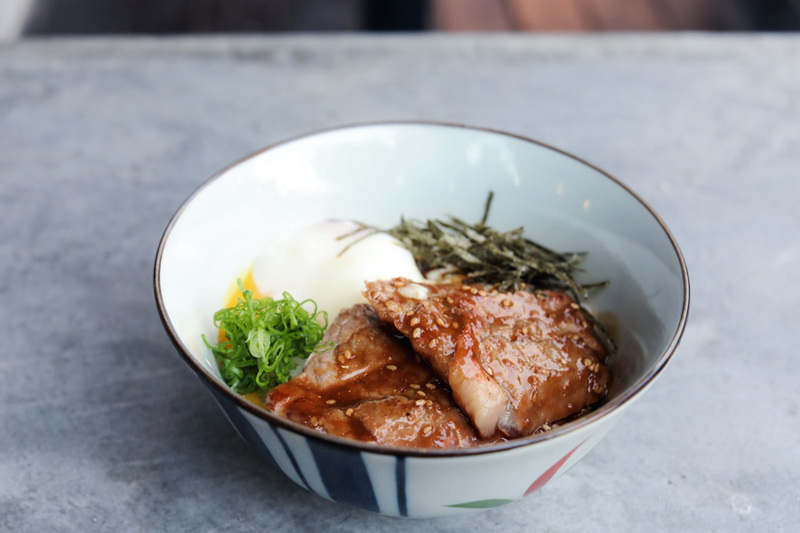 The “Small Bowl” of Gyu Yakiniku ($20), well… lived up to its name with its less-than-desirable portion, and was a standard fare of US beef drizzled with yakiniku sauce on rice. 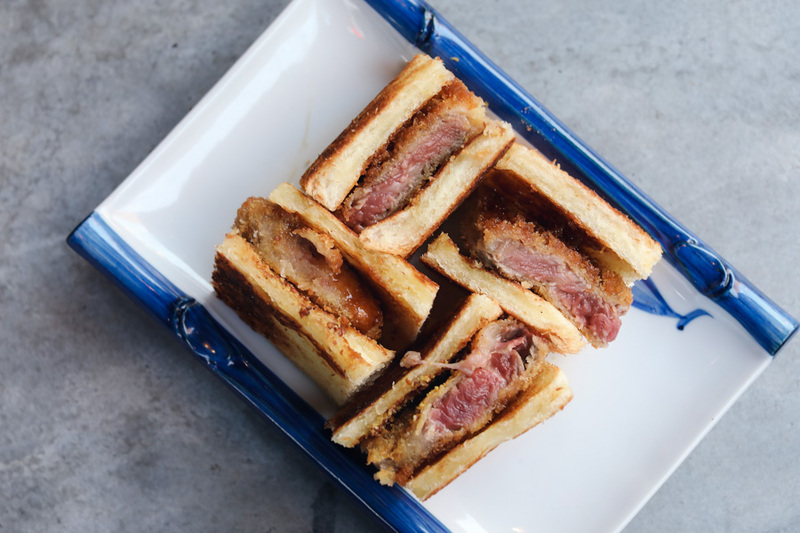 If I were to order something again, it would probably be the Katsu Sando ($16) with a nice contrast of thin crisp toasted bread and US beef – not exactly as juicy and flavourful as I would have liked, but good enough. 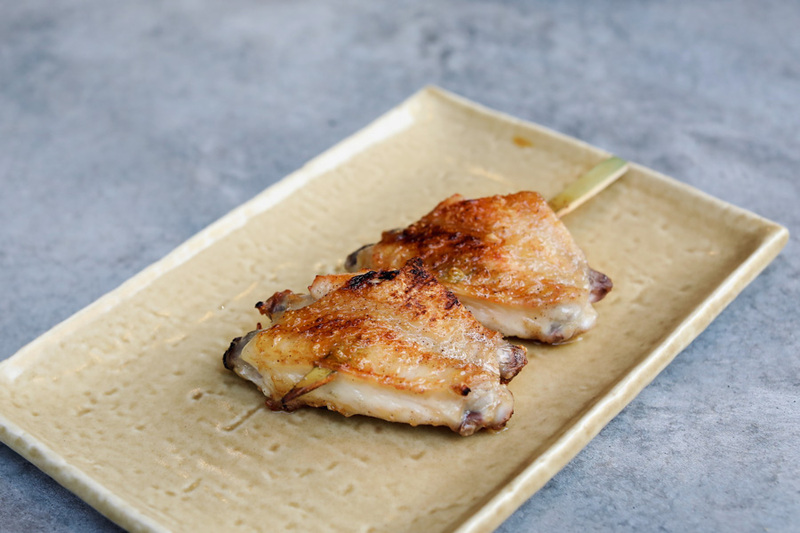 Yujin Izakaya provided some delicious bites, is a small fun space, slightly awkward service (perhaps they were stressed out as they had media tasting that day, not me), and perhaps need more differentiating factor to edge out from all the izakaya out there.